How can you help stop shedding in dogs? How can food help with shedding? What is the best dry dog food for shedding? Getting tired of finding so much dog hair around the house, that it looks like you have 50 furry beasts living with you when in reality, it is just that one small dog? Dog hair sticks to things – everything – and it will often seem to multiply and spread a lot faster than you can get rid of it. Some dogs shed more than others, which is something dog owners will have to learn to live with, but there may be ways of making a dog shed less. Proper nutrition is crucial for both humans and animals, and a dog with a vitamin deficiency might start experiencing itchy skin, which could then cause him or her to scratch – causing more hair loss. 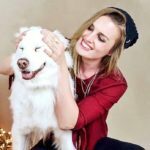 Providing high-quality dog food can make a big difference when it comes to shedding, and the secret lies in finding the best dog food for shedding problems that there is. 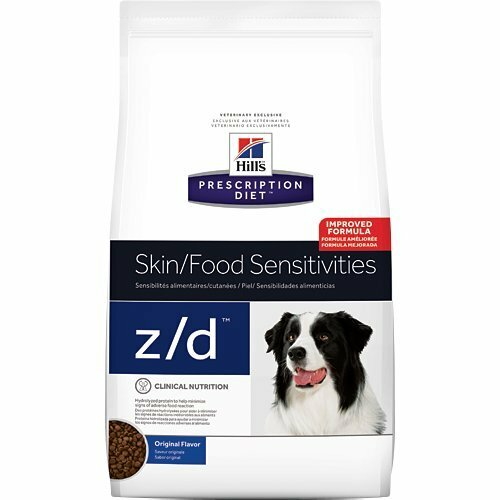 When looking for a dog food for shedding control, you want to find one that takes care of your pup’s coat and skin, but also the insides. This dog food for less shedding contains the fatty acid Omega 6, which contributes to a healthier and shinier coat, by strengthening it from the roots. The vitamin C and E boost the immune system, and the ingredients are easy to digest and perfect for sensitive stomachs. Shedding can be a sign of a vitamin deficiency, and when the body feels good, the outside looks good, something that for canines can mean reduced hair-loss once they get their nutrient levels balanced and properly adjusted. Why We Like It – This is an affordable dog food to help with shedding and one that can be found in most pet stores all over the U.S and abroad. Shedding can be caused by nutritional imbalances, but also by digestive issues, and this food is gentle and easy to digest even for pups with sensitive stomachs. Do wild-caught and fresh fish sound like something you would want to reward your dog with? This is a good dog food for shedding thanks to its quality ingredients and high concentration of healthy fatty acids, antioxidants, vitamins and minerals – all naturally found in the sophisticated mix of nutritious protein sources, vegetables, legumes, and fruit. The six fish types used in this anti shedding dog food recipe provides your pup with an explosion of delicious flavor in every bite, while simultaneously nurturing their bodies from the inside and out. This Orijen dog food is grain-free, free of fillers like corn and soy, has no artificial flavors, colors or preservatives, and it uses the finest ingredients nature has to offer, which in turn can make it the best dog food for shedding control since a healthy inside will show on the outside too. Why We Like It – As far as dog food that prevents shedding goes, you can’t find a better kibble than this. It is full of natural and nutritious ingredients, to help your dog grow strong and healthy, which will show on the outside as well with better coat quality and less shedding. With a choice of chicken, lamb, salmon and ocean fish, and lamb and venison – there is something for every dog! It is a high-protein formula made with the diets of the dog’s ancestors – the wolf – in mind, and it is full of vitamins and minerals to help with all that hair you keep finding around the house. It is a healthy and irresistibly flavored dog food that helps with shedding, and your dog will love it just as much as you will love the reduced amount of hair sticking to your clothes and furniture. With carbohydrates from quality sources and 34% animal-based protein, it is an effective shed control dog food that will make a difference in no time. 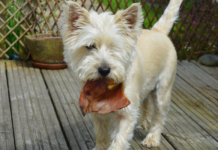 Why We Like It – Not all dogs like the same meat products, and some may have food allergies that need to be taken into consideration. This dog food to prevent shedding promotes a healthy energy level, a lean body and a sharp mind! If you have hairballs at home, then you are probably looking for the best dog food to reduce shedding! This anti shedding dog food is easy to digest and promotes a functional metabolism, it has plenty of protein from sustainable fish sources (wild-caught cod) and humanly farmed turkey, and it tastes so good that even the fussiest fur baby won’t be able to say no. Take control of that shedding by providing your pooch with food that will rebuild both coat quality and physical health and see for yourself how it reduces year-round shedding. The fish used to make this dog food that helps to shed is, of course, proven ethoxyquin-free, and it is suitable for adult dogs all sizes. 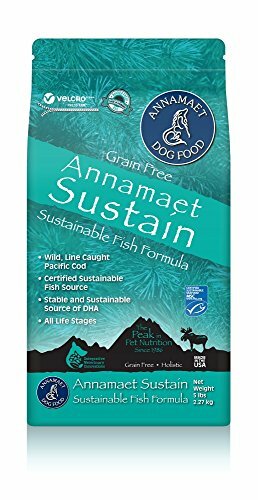 Why We Like It – Is this sustainable fish formula the best dog food to stop shedding? 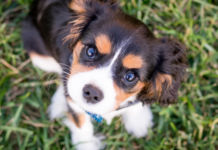 This is hard to say since every dog is different, but it has the necessary vitamins, minerals and ingredients to boost your pup’s health, and a healthy dog is less prone to unnatural hair loss. Is your four-legged bestie one of those dogs that tend to put on weight, making it even harder to find the best dog food to help with shedding? No worries – Acana has the solution. They offer a highly effective diet formula, without sacrificing quality, nutritional value and flavor. This dog food for shedding control is packed with meat from turkey, free-range chicken, and wild-caught fish, and it is free from grain, gluten, potatoes and other low- nutrient fillers. It is a product your fur buddy will gulp down as fast as they possibly can, and the formula is scientifically proven to enhance the metabolism, boost the immune system and promote a healthy weight, which are all factors contributing to a strong and healthy coat. All dogs shed; some more, some less and some almost not at all, but all dogs will shed significantly less if being healthy on both the inside and the outside. Why We Like It – Some dogs have a hard time keeping off weight, but it shouldn’t mean they can’t have access to the best dog food for shedding and dry skin. 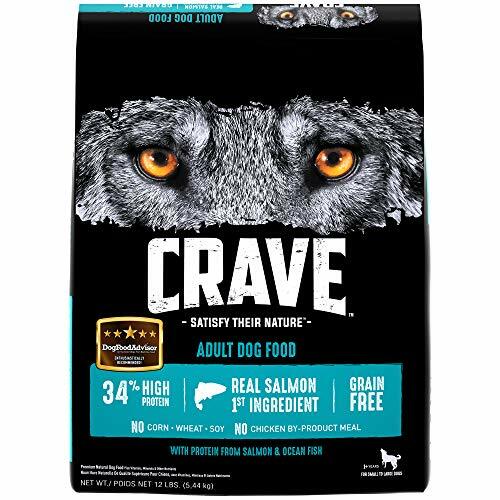 This product watches the weight while still giving your dog the nutrients he or she needs, and best of all – it is packed with meat and flavor! Take a look at this dog food that reduces shedding – a meat-packed and delicious luxury kibble for your best furry friend. It has 70% protein from real and wild-caught fish, providing a dog with plenty of energy, while also boosting the immune system and helping the metabolism to function the way that it should. Fish contains fatty acids like Omega 3 and Omega 6, which are both known to give a healthier and softer skin, along with shiny and breakage-free fur. General physical health is a keystone when it comes to shedding-reduction, and this high-quality and protein-rich food is here to save the day. 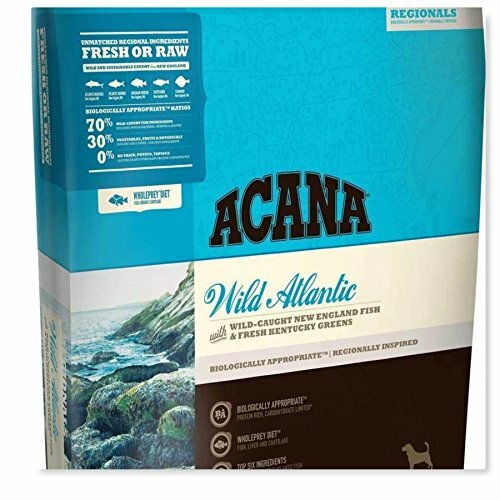 Acana’s answer to the best dog food for shedding pups is made with natural ingredients, it is grain-free and follows the lines of what a canine would have eaten in the wild. 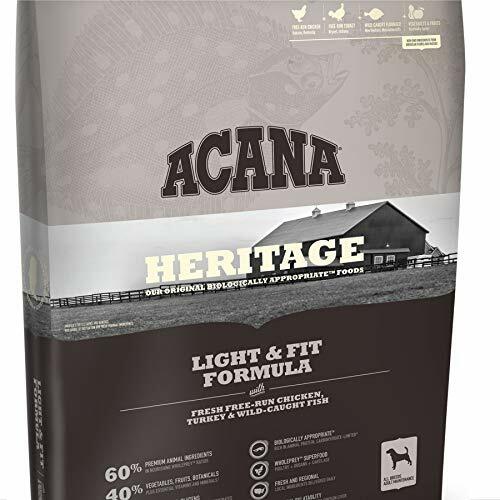 Why We Like It – Acana is a brand that is known for their superior dog food, so what better brand to turn to when looking for dog food to reduce shedding? 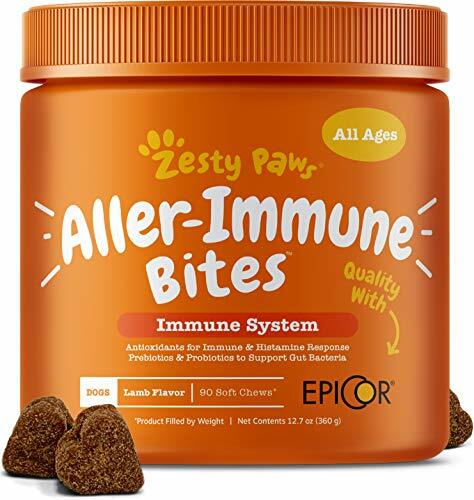 The quality ingredients will keep your pup both happy and strong, and you will likely notice positive results in coat quality only a couple of weeks into feeding it. For sensitive dogs, this dog food to stop shedding can be a solution to a hair loss problem. While all dogs shed – excessive shedding can be a sign of a deficiency, something a quality kibble with a high nutritional value can potentially solve. The best dog food to prevent shedding is one that sits well with your dog’s metabolism, provides them with a complete and balanced diet and that they enjoy eating, but it also needs to contain vitamins, minerals, and fatty acids to boost the hair growth and prevent the hairs from going dry, breaking and falling out. 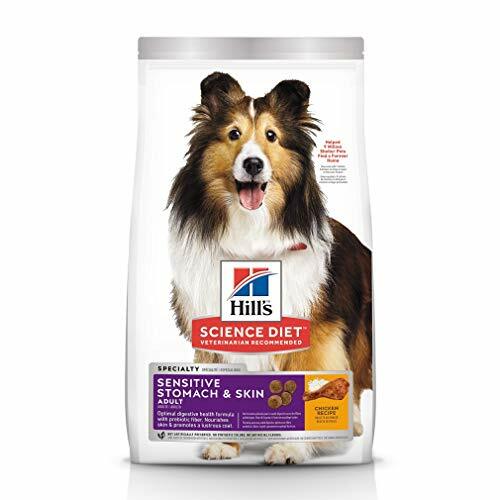 Hill’s contribution to the ‘Best Dog Food for Shedding Dogs’ product collection is a crunchy kibble with hydrolyzed protein and with a single carbohydrate source (cornstarch) that is optimal for dogs with skin and food sensitivities. 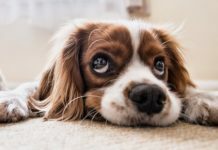 Why We Like It – Skin disorders are common in dogs, and a contributing reason to why they may be shedding more than usual, or more than what would be considered normal. This cheap dog food for hair loss works to solve this by treating these issues so that the coat can grow out stronger and more resistant. This mild product uses avocado oils to nourish the skin and coat when bathing your pup, and it relieves itching and skin discomfort (dry skin can often cause itching), and strengthens new hair growing out. While diet is incredibly important when controlling shedding, it is also relevant how you care for the skin and coat on the outside. The wrong shampoo can dry out the skin, while the right one – such as this AvoDerm conditioner – will aid in keeping your dog’s fur in top condition! If you want to take a jab at getting your dog to shed less, you will want to approach it from all angles. This product also has natural oils and botanicals for maximal effect. Is there a dog food that helps with shedding? Yes, there is, but sometimes an additional supplement can prove to be beneficial. These lamb flavored soft chews will give your dog a real health boost; with vitamins, minerals, fish oil, natural antioxidants, probiotics, prebiotics and a number of other things. It helps strengthen the dog’s immune system and combats skin issues such as rashes and hot spots, which could be beneficial when trying to prevent excessive shedding. As much as we love our dogs, we might not be too found on our whole couch being covered in dog hair when someone comes over for a visit, or for the car to turn furry after every trip to the dog park. Dog hair has a close to magical capacity to appear everywhere, in the strangest of places, where you can’t for your life figure out how it got there (on clothing, in food, in that forgotten box in the attic that hasn’t been anywhere near the dog, and so on). Dog hair has a life on its own, basically, and while some shedding is part of every dog’s routine – excessive shedding can quickly become an issue. Brushing and grooming play important roles in preventing dog hair from ending up all over the house, and some dogs need daily brushings with power tools such as the Furminator – an anti-shed brush that removes all loose hair. Brushing and grooming, however, does not treat the issue of excessive shedding, and for that, you will need to take action and start providing your pet with proper nutrition. The best dog food for dry skin and shedding can aid in making a dog’s fur grow out stronger and healthier, and a healthy coat is less likely to shed compared to an unhealthy- and neglected coat. But what dog food helps with shedding, and how can you find it? There are a few factors to take into consideration when looking for dog food that stops shedding, or that at least lessens it, and by being aware of what those factors are – you set yourself and your pup up for success in finding the right alternative for both of you. These two fatty acids are found in for example fish, and they are known to be beneficial for both skin and coat. Healthy skin is needed for the coat to grow out strong and resistant, which can, in turn, prevent excessive shedding and hair loss. When looking for the best dog food for hair loss, you always want to make sure it has these healthy fatty acids – Omega 3 and/or Omega 6, as it will aid your pet in rebuilding their fur coat from within. As an extra plus, these fatty acids help relieve allergies, prevents heart- and kidney disease boosts cognitive function and more. Protein generally comes from meat sources in the kibble, so to find the best dog food for hair shedding, you want to make sure the kibble you purchase has quality meat listed first or second since this means it has a substantial amount of it. Dogs need protein for energy, general health, and digestion, so it is important to check that the product you purchase has enough to keep your dog going for a full day. Stay away from low-quality protein sources, such as animal by-products, and aim at finding kibble containing real meat (deboned chicken, turkey, beef etc. etc.) or meat meal (chicken meal, turkey meal and so on), since these will provide your pup with the protein his or her body needs to function properly, and aid in promoting a healthy skin and coat. Many high-quality kibble products have ingredients filled with vitamins and minerals, and others might have these added as something extra. Regardless of which, vitamins and minerals will control and balance your dog’s overall well-being. You can usually find vitamins like vitamin A and vitamin E listed among the ingredients, but you might also want to look for real vegetables, legumes and fruit, which all contain vitamins and antioxidants naturally. One of the vitamins that are best known to promote a healthy coat is the B vitamin called biotin, and the lack of biotin has been scientifically proven to result in hair loss in humans, which is why it is something that can help a dog shed less. 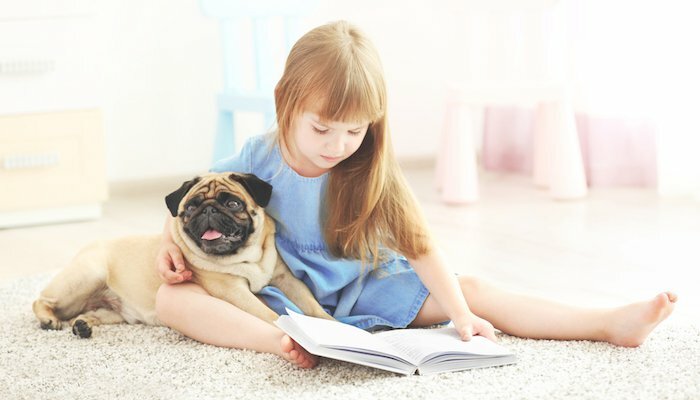 Whether you’ve been looking for the best dog food for shedding lab seniors, for a Pug (Pugs are known for shedding excessively at times) or a Chihuahua, you want to make sure that their diet includes vitamin B or ingredients that are natural vitamin B sources. Natural ingredients are something you should look for both when it comes to your own food and that of your dog. Why consume chemicals, artificial flavors, and colors, when it isn’t necessary? 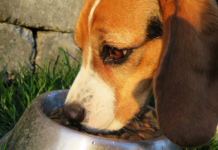 When trying to figure out what dog food is best for shedding – think natural and look for products with an ingredients’ list that you can understand (ingredients that you don’t know what they are can often be a sign of the kibble not being all that natural). As a dog owner, one must never forget that all dogs shed. Some only shed heavily once or twice a year, others shed all year round, and some barely shed at all. Shedding is a way for dogs to renew their fur coat, to adapt it to climate changes and to make room for new outgrowing hairs. In some cases, though, the shedding might seem excessive, and it is always worth a try to see if you can get your dog to shed a little less. The things you want to do to reduce shedding is providing a healthy and nutritious diet, brush and groom regularly (some dogs might need daily brushings), bathe your dog with a nice-smelling shampoo that promotes a healthy coat (see ‘bonus buy’ product listed above) and keep your dog in a happy and stress-free environment; since stress can cause hair loss. If a dog feels good on the inside, it will show on the outside as well. Provide the dog with a nutritious kibble with vitamins, minerals, a high protein content, and healthy fatty acids, and you will notice almost right away how their coat and overall physical appearance begin to change. There is a saying that goes: “You are what you eat,” and this is definitely true when it comes to dogs, shedding and overall well-being. 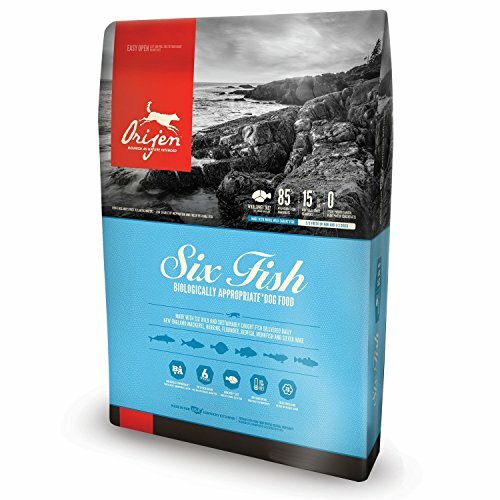 A recommended product is the ‘Orijen Six Fish Dry Dog Food’ since it contains protein from six different quality fish sources (all wild-caught). Fish naturally contains oils, fatty acids, vitamins and antioxidants which can all aid in providing a shiny and healthy coat, and a healthy coat will often shed less. Dog nutrition is the answer to many health problems in dogs, as well as aesthetic issues such as excessive shedding. A change in diet may be the obvious answer to what might have been a problem for a very long time, so have a look at what you are feeding your dog now, research above listed products, choose and make the switch, and see for yourself the difference that it makes. A good dog food won’t only reduce shedding, but it could also prolong your furry family member’s life with several years. Have a look at the dog’s environment, in addition to changing to a healthier diet. Stress and discomfort are known to cause excessive shedding in dogs, and to make a true change – you need to take all factors into consideration. If unsure – consult a veterinarian. 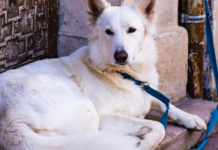 Some dogs, such as the Maltese, the Soft-Coated Wheaten Terrier, and the Poodle, are known for barely shedding at all, while breeds like the Siberian Husky and the Golden Retriever shed a lot.